For several decades now the Carthusian monastery has offered visitors a piano concert when they come to the monastery. This recital lasts approximately 15 minutes, performing several of the compositions by the acclaimed musician Frédéric Chopin. The pianist, Carlos Bonnín, delights visitors with his skilful piano playing. 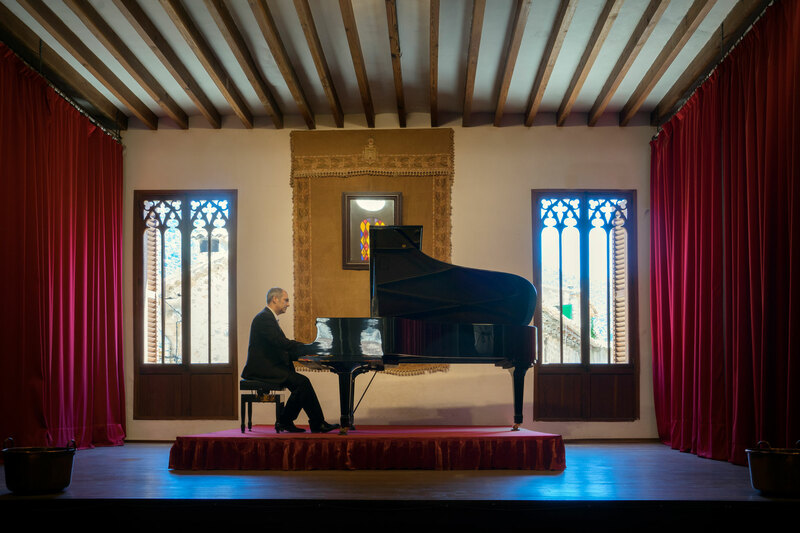 This leading musician and composer offers several performances a day inside the Palace of King Sancho. Among the illustrious visitors that have enjoyed this recital are the Queen of Spain Doña Sofía, three Prime Ministers from China and the Environment Ministers of the European Union, among many other authorities of a national and international nature. Valldemossa’s Carthusian monastery can also hold private concerts for groups. ➡️ This great work of nine volumes that is in front of you is Die Balearen, the most comprehensive work there is on the landscape, customs and traditions of the Balearic culture of the nineteenth century, written by the Archduke Ludwig Salvator between 1869 and 1891. Many of the illustrations of the book were made by the Archduke, who was also a great artist. He worked from a previous program that was published as a survey entitled Tabulae Ludovicianae, which he handed out to local people who he thought were the most appropriate to gather this information. This is a first edition of the work published in German, of which only 100 copies were published, and which were not sold but rather were distributed free of charge among the people who helped in its writing and to the Archduke’s personal friends, such as this one which is dedicated to emperor Franz Joseph I.